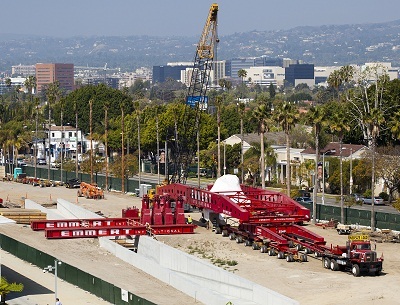 Levitated Mass Opening Day at LACMA Sunday, June 24, 11:00am. Michael Heizer’s long awaited sculpture Levitated Mass opens Sunday. Traveling through a concrete slot, visitors can now walk underneath the 340 ton boulder (aka the LACMA Rock) as it hovers or “levitates” above. If the LACMA Rock rolled through your neighborhood on its historic journey to the museum, you’ll get free LACMA admission June 24-July 1, 2012 (check the zip code list here). There’s a family program on Sunday too (below). Yearbook Signing Party at the Hammer, Saturday, June 23, 1:00pm-4:00pm. Celebrate the arrival of the Hammer’s Yearbook – an artists’ photography project capturing a year at the Museum in the style of a high school yearbook. There’ll be food, drinks, music, and Hammer yearbooks of course. And it’s a great opportunity to see the Hammer’s first Los Angeles biennial Made in L.A. 2012. The Art of Origami children’s workshop at the Huntington, Saturday, June 23, 10:00am-12:30pm, ages 7-12 yrs. Reservations required. Diego Rivera Stories in the Afternoon, Sunday, June 24, 2:00-3:00 pm. Explore Rivera’s painting The Flower Vendor (Girl with Lilies), hear stories, and craft paper flowers, ages 4-8 yrs. Royal Celebrations LACMA Andell Family Sunday, June 24, 12:30-3:30pm. A free family program celebrating the current exhibition Children of the Plumed Serpent with artist-led workshops, sketching in the galleries, and interactive bilingual tours. And don’t forget to check-out Levitated Mass (above). COMING UP: Into the Night: Playtime at the Skirball Center, Friday, July 13, 9:00 pm-1:00am. Tickets are selling quickly for this cool late night party featuring indie folk stars Sea Wolf (love them!) plus games, art activities, screenings, and cash bar cocktails (tickets $15/$20). Posted in Calendar Picks. Tagged as family activities, kids activities, Michael Heizer's Levitated Mass, museum events, things to do in L.A.